Increasingly, HR and business leaders are understanding the importance embracing the human spirit of their employees, and encouraging employees to bring their entire selves to work. 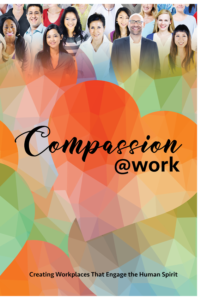 This volume discusses these issues of well-being, work/life balance, diversity and inclusion, compassionate workplaces, personal and professional development, and spirituality in work. 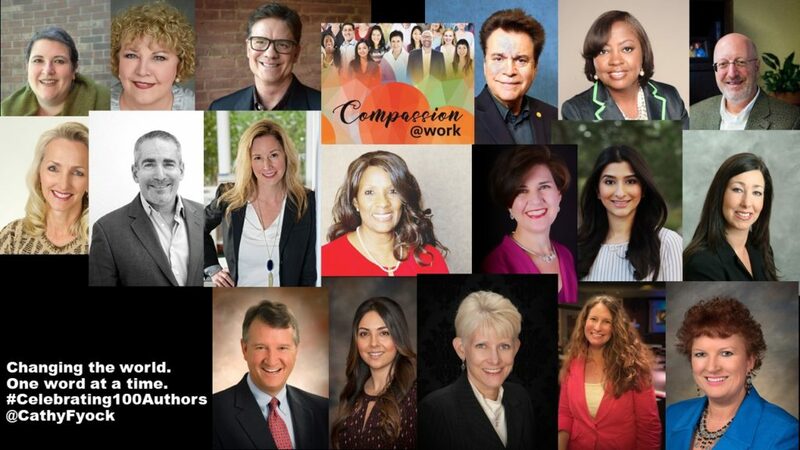 Compassion@Work explores these concepts by sharing the perspectives of 18 unique business leaders across multiple industries and professional roles, and offers ideas as to how organizations and leaders can engage the human spirit to create productive and innovative workplaces. Authors Include: David Baumgartner, Samuel Bresler, Madiha Chughtai, Heather Dilmagani, Laurie Friedman, Angela Greer, Lyle Hanna, Paula Harvey, Michelle Hollingshead, Milli McIntosh, Tonia Morris, Stacey Oliver-Knappe, Jason Sackett, Amy Smith, Ben St. Clair, Carole Sitzza, Shelly Trent, and Laura Hillerich Wood. Becoming an author has catapulted my credibility as a speaker, given me the ability to raise my speaking fees, and allowed me to generate more revenue after my speaking engagements. It’s a win-win-win! Sharing my personal story as a Millennial in the workplace has provided an “aha” moment for so many of my readers. They never thought about how differently Millennials were raised than Baby Boomers and GenXers, and this gives them a greater understanding of who others think and work so differently. It has also helped managers reduce unnecessary employee turnover by being more effective in their roles. Who knew I could learn so much about myself by participating in this adventure? This has been a gift on many levels, and Kate and Cathy have my deepest gratitude. Not only was participation in Compassion@Work the best investment I made in 2017, but I also learned a lot about myself. Writing my chapter gave me confidence, and now I am able to say I am an author. Cathy met my expectations from the beginning to the end. Not only did she make the process stress-free, she also gave us resources to market our book and provided us an opportunity to do a book signing at a SHRM Leadership summit.